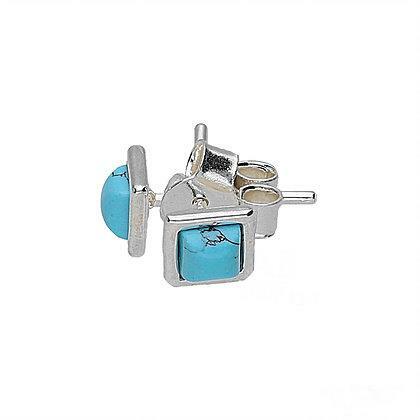 These beautiful square studs are handmade from Sterling silver, and are set with a created turquoise stone. Perfect for every day wear - very easy to wear! These look striking when paired with any of our turquoise pieces.